Multitasking has never been easier (or sweatier). Like many New Yorkers, I live my life largely at the mercy of the subway. I live in Brooklyn and rely on the (often unreliable) MTA, New York's public transportation system, for most of my getting-places needs. I've learned that if I want to be definitely on time anywhere, I have to budget at least an hour of travel time. But the day that Google Maps informed me that it would be five minutes faster to walk the four miles from my apartment to my boyfriend’s than it would be to take the subway was the day I vowed to become a run-commuter. Running is my preferred (and only) form of exercise, but schlepping a pack with me on a run for the sake of efficiency always struck me as the province of optimization-happy tech bros.
Running is hard enough without the extra burden of a backpack flopping against you with every stride. Plus, the volume of stuff I carry every day is much closer to "several tote bags" than "single dainty clutch." I've tried running with backpacks before, but even on short runs, the experience was so unpleasant that I had pretty much written off the idea of running with stuff. 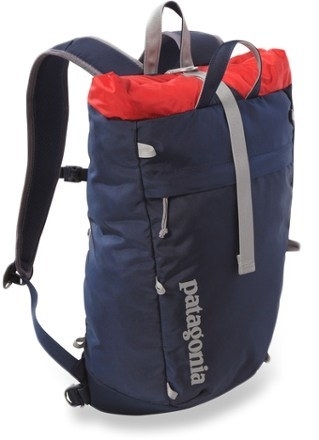 But when I got my hands on the Patagonia Linked 16 Pack, I realized what a fool I’d been. Designed for climbing, the Linked 16 Pack holds everything I need to look like a ~fully optimized~ human at work. It takes a little stuffing, but I'm able to cram in a spare set of clothes (including shoes and jacket), a makeup bag, a wallet, and a book. 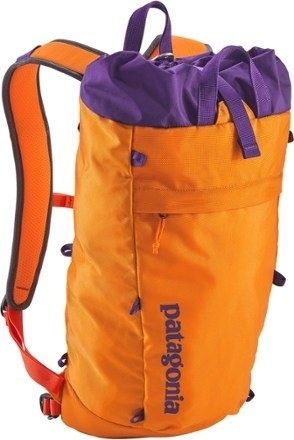 The pack lies blissfully flat against my back, and the waist and sternum straps keep bouncing to a minimum. It's also narrower than a typical backpack, so it feels more like an extension of my body than a persistent nuisance while I run. I have the pack in "campfire orange" (aka the color of happiness), but it also comes in the more restrained shades of gray and navy. At $79, this pack isn’t cheap. But given that it's basically a subway ride and a gym membership rolled into one (I said basically), it was definitely worth it for me. I haven't cracked the whole "sweaty mess" quandry of run-commuting yet, so for now I'm confined to destinations with accessible showers. Although the back panel of the Linked 16 Pack is breathable enough that my back doesn't get entirely soaked when I carry it, I still sweat. A lot. But for running to my boyfriend's house, or home from work, or even to a casual hang at a friend's house (where my sweatiness is grudgingly tolerated)? It's perfect. 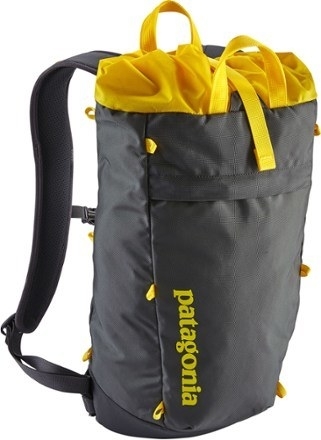 Get the Patagonia Linked 16 Pack at REI or Patagonia for $79.